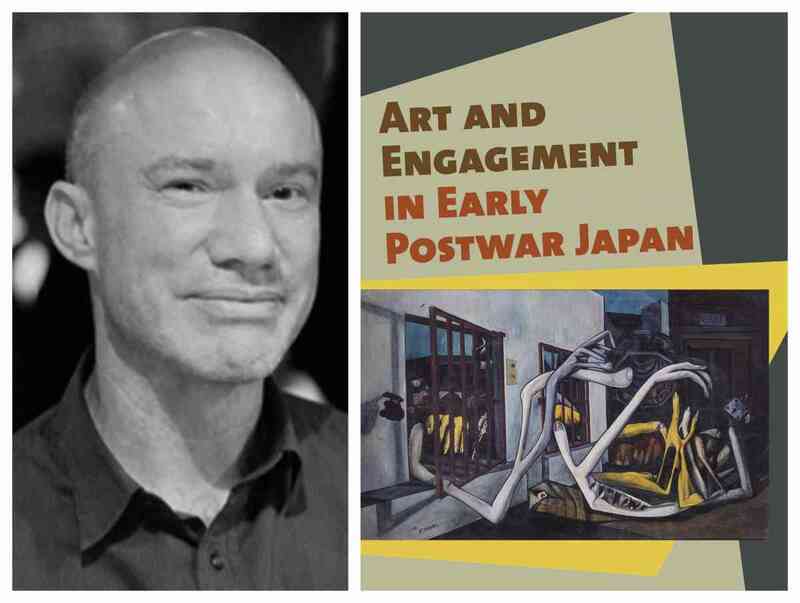 About the book: Justin Jesty’s Art and Engagement in Early Postwar Japan reframes the history of art and its politics in Japan post-1945. This fascinating cultural history addresses our broad understanding of the immediate postwar era moving toward the Cold War and subsequent consolidations of political and cultural life. At the same time, Jesty delves into an examination of the relationship between art and politics that approaches art as a mode of intervention, but he moves beyond the idea that the artwork or artist unilaterally authors political significance to trace how creations and expressive acts may (or may not) actually engage the terms of shared meaning and value. About Justin Jesty: Justin Jesty is Assistant Professor in the Department of Asian Languages and Literature at the University of Washington. He is author in Japanese of several catalog exhibits for the Meguro Museum of Art and of articles in the Nishi Nihon Shinbun and Gendai Shiso (Contemporary Thought), and author in English of articles in Japan Forum and Art in America. About the co-sponsor: The Center for East Asian Studies (CEAS) and its three Committees - the Committee on Japanese Studies, the Committee on Chinese Studies, and the Committee on Korean Studies - work to enhance opportunities available to scholars both in the United States and abroad, and to foster communication and inter-disciplinary collaboration among the community of professors and students at the University of Chicago and throughout the wider East Asian Studies community.